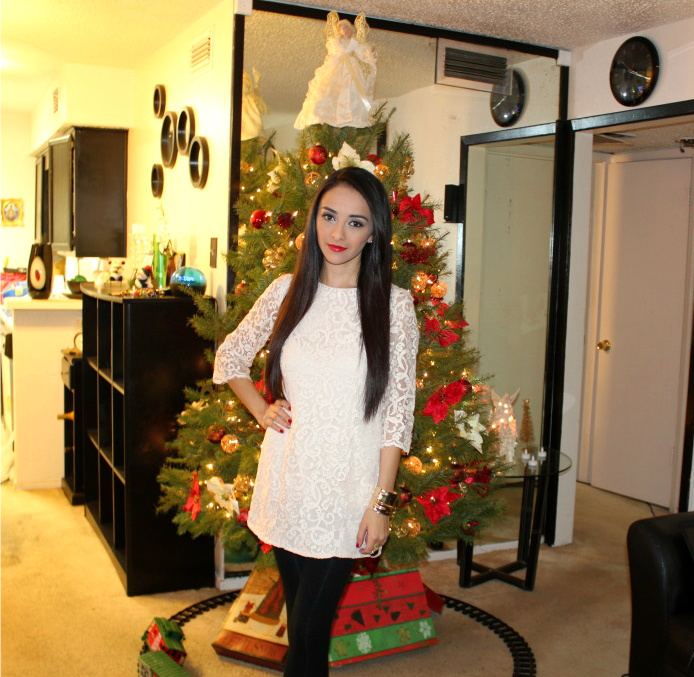 Dress: H&M/tights & shoes::target/ring: ebay. As i mentioned in my last post, i wanted to share some pictures from my chrismas eve. i hope you all had an amazing christmas. enjoy the pictures. 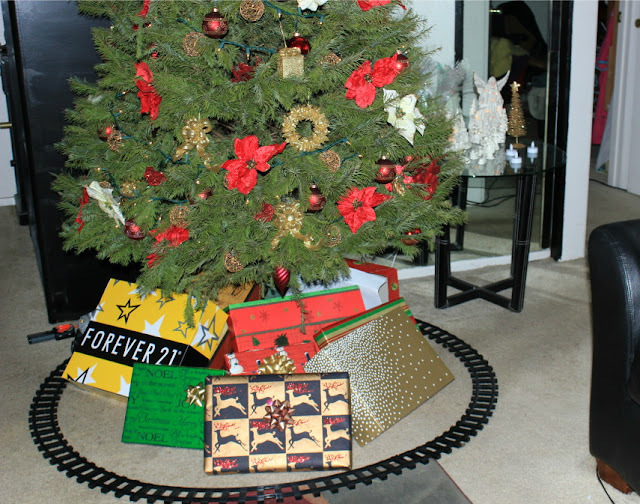 this is what my boyfriend got me for Chritsmas,this year i didnt ask for anything big or expensive, i told my bf just to buy me somthing from forever21 ( You know i love that store) and he said ok!. so this is what he gave me & im in love with everything , he really knows my taste in chlothes !!! So pretty..your boyfriend got you pretty gifts..he has great taste..I have to find that purse. Good bye to the old year. Express your self with color. Outfit of the day + khloe kardashian pictures. Leather shorts & triangle necklace. Button up shirt and Stament Necklace. Camel Cape and leather pants.